How is your Lebaran? How is your Holiday? 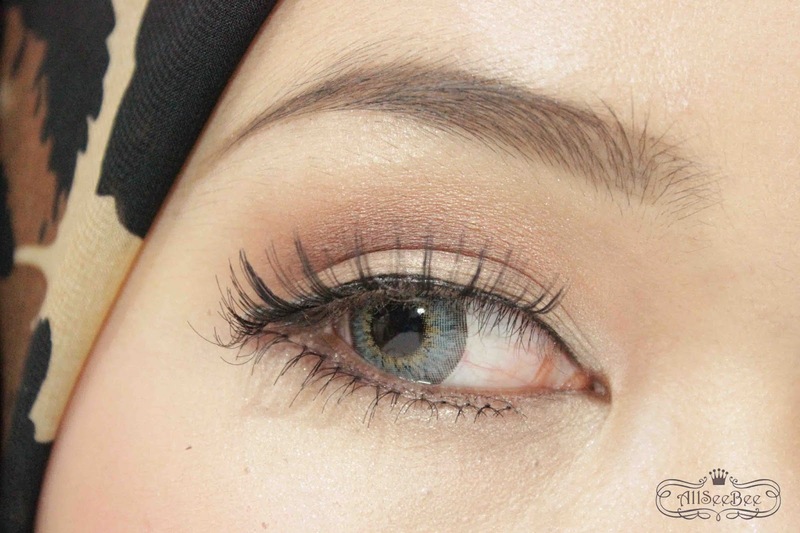 This time I am back with a review of Estée Lauder Pure Color Eyeshadow Single. It's the first time I tried eyeshadow from Estée Lauder. I got this eyeshadow along with their famous Double Wear Foundation from Estée Lauder event that I attended a few months back. When I received Estée Lauder products, I felt the luxury-ness. You can see that the box (most of Estée Lauder products) came in navy blue color combined with gold letters and the eyeshadow package itself came in gold color with 'EL' initial on it. I got it in Glistening Gold and the 'metallic' word means the eyeshadow's type (or finish type). Oh yeah, my expectation before I open the eyeshadow was that I will get a yellowish gold color just like the eyeshadow package color, but it turned out to be a pale gold champagne color. This eyeshadow package is unique, it has separator that not only for the eyshadow but also for the eyeshadow sponge brush applicator. From the hype of the packaging, this eyeshadow turned me down a little bit because of the pigmentation. You can see it in the picture bellow. So, without eyeshadow primer, this eyeshadow is so transparent. Also it has really obvious sparkle (maybe because its name is Glistening Gold I guess) that will likely to fall off when you applying the eyeshadow. But, it turned out pretty good with eyeshadow primer on and the color look similar with what you see on the pan. Oh yeah if you curious about the price, it is about IDR 270.000 for this single eyeshadow. hi dear, nice review :) Aku nominasiin kamu di Liebster Award ya, udah pernah belum?